Shower Spares. Handsets. 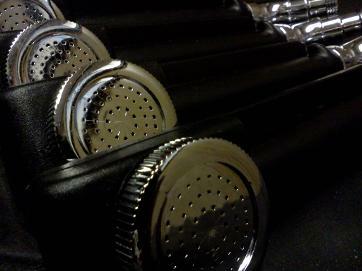 Shower Heads. Hose Pipes Brackets. SPARES WALL SHOWER VALVES and BATH SHOWER MIXERS POWER SHOWERS. ALL THINGS SHOWER. JSL BATHROOMS. BRADFORD. YORKSHIRE. UK. 17-19 Carter Street Off Wakefield Road. Sub Menu Shower Spare Parts Heads Handsets Rain Style Ceiling Shower Heads Large and small. NOTA BENE: Most Wall Brackets, Hoses, and Handsets Have Unique Fixings. If You Want To Match To One Please Bring With You The Other Parts. Sub Menu For Shower Spare Parts and Replacements. For Main Menu Please See Top Of Page. Shower Kits In Stock From As Little As £5. Including Hose, Handset, Wall Bracket, and Washers. Amazing Value. JSL Bathrooms 17-19 Carter Street Bradford Yorkshire. Est. 1978. We Stock A Lot Of Discontinued Shower Replacement Parts and Spares, As Well As New Thermostatic and Manual Shower Valves and Shower Kits. Available With Sliding Rail For Exposed Wall Mounting and Concealed, Recessed Non Exposed Fitting To Hide Inside The Wall.